With Common Core Standards we need to prove the growth of our students. Having a Digital Portfolio is a great way to do this. This year is the 1st time I have had my students create a Digital Portfolio and I was a little nervous about them doing so. 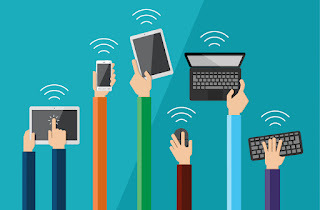 I attended a few webinars vis SimpleK12 about the subject and learned a lot from other educators who have taken this route to showcase student progress. I decided to use LiveBinders web tool to takle this new project. I also used a Symbaloo board to organize their Digital Portfolios. My goal was to showcase the work my students worked on throughout the semester and then share it with the high school staff. I kept telling my students that this is their portfolio and they can organize it any way they would like since it belongs to them. I of course had an example for them to look at and some guidelines for them to follow. We did learn that if you have a presentation in Prezi and you add it to your LiveBinder a preview will not appear within the LiveBinder, only the link to the presentation shows up. This is ok, you can still click on the link to view the presentation. My classes are a semester long and I ended the semester with building the Digital Portfolios as our finial project. I don't think the portfolios made as much impact with my students as I had hoped it would. This semester I am going to start off with building our portfolios from the start. Build a LiveBinder before you have your students try to takle the project. Have a few examples for your students to refer back to. 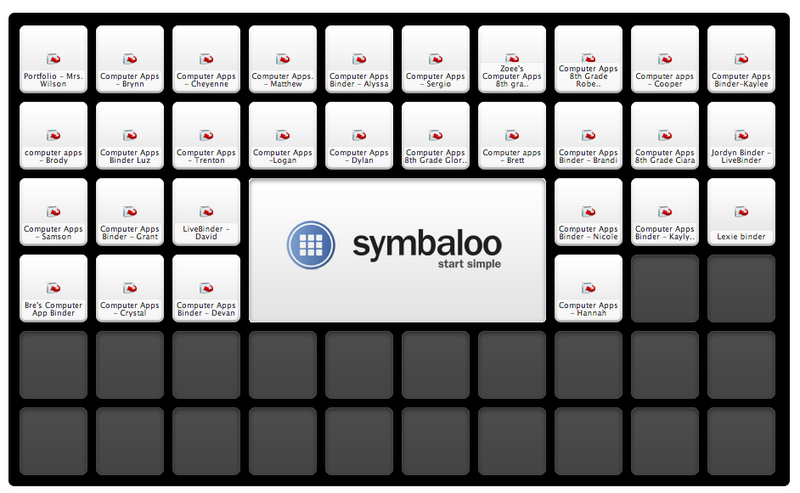 Use a Symbaloo board or other bookmarking tool to organize your students' portfolios.